Will Grier dominated at today’s WVU Pro Day! 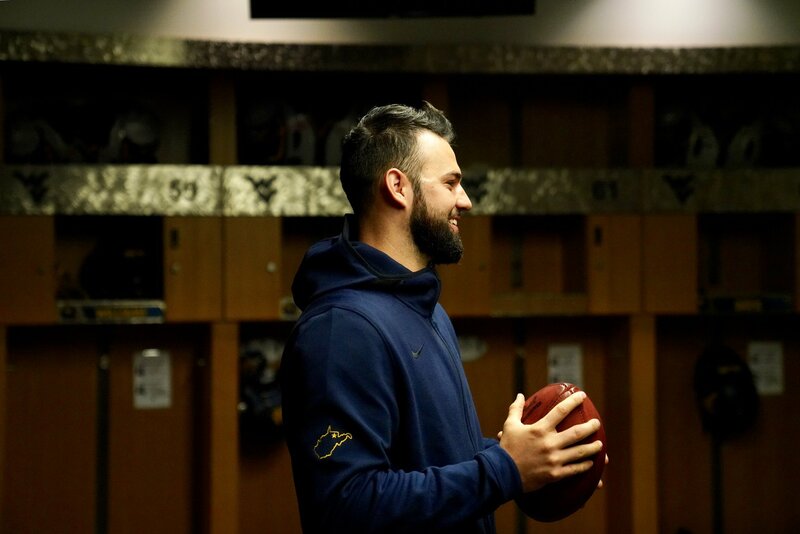 Former WVU quarterback Will Grier “dominated” and “put on a show” at today’s WVU Pro Day. Prior to today, Grier’s draft stock had fallen due to a perceived lack of arm strength. Some experts had him listed as the 5th, 6th or even 7th best quarterback available in this class behind Kyler Murray (Oklahoma), Dwayne Haskins (Ohio State), Daniel Jones (Duke), Drew Lock (Missouri) and Ryan Finley (NC State). Some experts had Clayton Thorson (Northwestern) projected ahead of Grier as well. One NFL scout in Morgantown, W.V., just texted that QB Will Grier “put on a show” for NFL Teams in attendance and predicted he’s “a riser.” The WVU QB is expected to meet with at least 10 teams before the draft, including the Giants, Redskins, Chargers, Pats and Saints. However, Grier’s strong performance today will have many NFL GMs rethinking their initial projections. Grier, who threw for 3,864 yards and had 37 touchdowns with only 8 interceptions, has interviewed well with teams and has shown great accuracy during the Combine and Pro Day. Today could potentially move him a second-day/mid-round pick to a first day/second round choice. WVU beats Grand Canyon in CBI Opener!